The market for Kosher wine has been revolutionized from the days of the semi-rectangular, shaped Manischewitz bottle, Mogen David or other syrupy sacramental potions. Today’s Kosher wine consumer can choose from numerous blends and grape varietals from a seemingly, endless array of wine making regions all over the world! The wines and choices for Kosher wine consumers have never been better. Yatir Forest: This is the flagship cuvee from the Yatir Winery in Israel. The winery is located at the southern end of the Judean Hills, which is a high altitude desert region. Modern agricultural and irrigation techniques have allowed for a forest in this area, which progressed into vineyards. This blend is mostly Cabernet Sauvignon, and has a high percentage of Petit Verdot, rounded out by Merlot and Shiraz. The blend differs by vintage, based on the strength of the particular varietals. This wine has been a darling of Mark Squires’s review of Israeli wine and for good reason. While typically approachable on release, the wine certainly benefits with years in the bottle. Our favorite vintages right now are the 2005, which is a serious, well balanced Cabernet based wine, and the 2006, which as a result of aging, has really seamlessly integrated the unusually high proportion of Petit Verdot into an elegant wine. Yatir also bottles the grape varieties on their own,and produces some white wines as well. Domaine Roses Camille: This label was virtually unheard of until it received the moniker of “best Kosher Bordeaux wine ever tasted!” from the late Israel based wine critic Daniel Rogov. Domaine Roses Camille is a small vineyard in Pomerol, Bordeaux that is adjacent to La Croix de Gay, La Violette and Chateau Rouget. The Right Bank vineyard is only one hectare with a terroir containing the same type of blue clay found in the soil of Petrus. The winemaker, Christophe Bardeau, trained at l’Eglise Clinet. The first release was in 2005. The wine is produced from close to 100% old vine Merlot with an occasional dollop of Cabernet Franc. With aromas of violets, raspberry coulis, fresh herbs, cocoa, supple tannins and very polished acidity. Lots of “old world” structure and earth with a fair amount of “new world” freshness and approachability. The long, unrelenting finish of this wine is worth the price of admission. 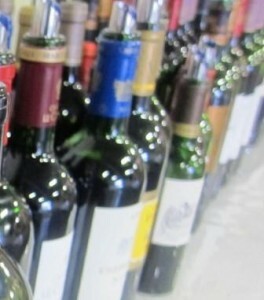 Subsequent vintages were not produced under Kosher supervision until the 2011. Both kosher vintages are approachable now after plenty of aeration and will age for another 20-25 years. 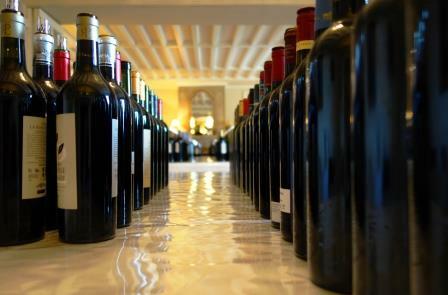 150 cases produced in 2006, 75 cases in 2005. Yarden Cabernet Sauvignon “El Rom Vineyard” is a special wine from the enormous portfolio of the Golan Heights Winery in the northernmost region of Israel. Certainly if there were Kosher or Israeli “cult wines,” this would be one of them. This wine is dense and viscous, with blackberry, tar, herbs and new oak, with a characteristic touch of green. The level of tannin and acid typically depends on the vintage; the 2007 was a milder wine compared to the 2004 and 2003, the latter of which was very muscular upon release. The 2003 has developed into a world class Cabernet, with the jammy fruit and tannins turning into a wonderfully balanced wine with a real sense of place. The current release is the 2009. Production is only in selected vintage years and is typically very low with about 1000 cases produced, which are shared between Israel, Europe, and the US. Covenant Cabernet Sauvignon: This California winery is a highly successful venture between noted wine educator and winemaker, Jeff Morgan, Leslie Rudd of Rudd Winery and Dean & Deluca in Napa. Their Cabernet Sauvignon, produced from the Larkmead Vineyard, located just north of St. Helena now includes a super-premium Cabernet from Rudd’s hilltop vineyards, along with an entry level Cabernet, “Red C.” Covenant also produces Chardonnay and Sauvignon Blanc. The 2007 Cabernet Sauvignon is drinking well now, making it a good representation of a successful, balanced vintage. The more recent 2010 Cabernet Sauvignon is more effusive and approachable, with plush tannins, deep berry flavors and a great finish. Covenant recently started a wine club with small lot productions of Pinot Noir, Syrah, and Zinfandel. If anyone reading has other tips on Kosher wine for the holiday’s, please feel free to share and add your comments. Previous ArticleRobert Parker 2010 Bordeaux Scores Out. 10 Wines hit 100 Points! Just what we need another review of esoteric over-priced kosher wines. Why aren’t there any reviews of the wines most of us buy? – or that are priced so that we can buy them. When I have 20 or 30 people drinking 4 cups of wine each I am not thinking of Chateau Petrus or even Rudd’s kosher Covenant at $80 a bottle. I am thinking of Trader Joes and Baron Hezrog. Sara Bee Moscato, Banero Prosecco, or some Terrenal from Spain or Argentina. Maybe Jeunesse. Mount Hermon Red for gosh sakes. Thanks for the post. You make a good point. I own and publish the website, but this specific article was written by a guest author. We do that from time to time to add different views. I am going to ask them for some tips that are not as expensive. If you have the chance, we’re also open to hearing about some better values in Kosher wines from you as well. Do you have any suggestions to share on wines you like? I would add Ramon Cordova Rioja, Bartenura Prosecco, Weinstock Napa Cab, Red by W, Segal’s Fusion, and Baron Herzog Chenin to that list. I don’t particularly like Terrenal aside from the Chardonnay. Hope this helps! I have friends that keep strict kosher and I am dying to have them drink a kosher wine which approximates the high quality wine I drink that is not Kosher. So I think its great that kosher wineries are pushing the envelope in terms of quality. There will always be inexpensive kosher wine and I will drink my small cup at Shul on Saturdays.